What is the Gloucester House school offer? In accordance with the Children and Families Act 2014 as a school we are required to publish information concerning students with special educational needs and/or disabilities (SEN/D). Here Gloucester House’s SEN/D Information sets out in one place what we provide for children and young people with SEN/D throughout their time with us. It explains how we support them on to the next stage of their education. Our SEN policy gives more detail about our day to day procedures. What kinds of SEN/D does Gloucester house work with? You also can find additional information about SEN/D and support available to parents/carers through Parent Partnership. The Information, Advice and Support Services Network (IASS Network) – provides links and contact details for all Parent partnerships in each county / borough across the country. Who is in charge of special educational needs at Gloucester House? How do you make sure the school staff have the necessary skills, knowledge and expertise? How do we identify, assess and plan support? What should I do if I think my child has an SEN in addition to social, emotional and mental health needs? How do we review your child’s progress? How do we make sure that teaching and support help your child to learn and make good progress? How do we make sure that children with SEN/D enjoy a broad and balanced curriculum? How do we make sure that our school and classrooms are safe, accessible and stimulating? How do we work in partnership with parents and carers? How do we listen and respond to children and young people with SEN/D? How do we support children joining and leaving our school? How do we support children’s health and general well-being – including their safety, attendance and positive behaviour? How will we know if we are successful? What do our stakeholders think of us? Where can I find my Borough’s / LA’s Local offer? What should I do if I have an unresolved concern or complaint? The SENDCo is Robin Jones-Ford (Deputy Headteacher), he is in charge of Special Educational needs at Gloucester House. He Holds the National SENDCo Award and a PGDE in Special Education. You can also talk to your child’s Class teacher and case coordinator about your child’s needs or any concerns. We have a range of experienced and well qualified staff who are interested in and committed to progress for this group of disadvantaged children and their families. All staff receive a comprehensive induction package. understand the learning, social and emotional needs of our children. Therapeutic Support Workers 1per class In-class or out of class support working with a child/small group for planned,interventions focused on behaviour and emotional regulation, support children,back into learning behaviour. Support Teacher 2 days aweek Some small, group or 1:1 support for particular interventions. clinical nursing More than one staff member Case coordination/key work; group and individual assessment, support and interventions with children and families. psychotherapy More than one staff member Case coordination/key work; group and individual assessment, support and interventions with children and families. All of our children currently have Education Health Care Plans (EHCPs)/Statements of SEN but we identify, assess, plan and support individual needs from referral onwards. Alongside our multi-disciplinary team, we will always involve parents and carers in any discussions / decisions about whether their child has additional special educational need and the best ways to provide support. You can talk to your case coordinator, your child’s teacher or SENDCo. We will come together as the multi-disciplinary team will discuss issues raised and identify the possible next steps. When an additional need is identified we would use the progressive system outlined above to meet the need and improve progress. It is very important for Gloucester House that ALL of our children enjoy success and achievement and make good progress in learning. We use the information we have about each child to plan a personal programme of SEN support. This is developed in partnership with parents/carers and the child. It will include short term targets and will describe how we will support your child to achieve these targets. Once a term we review how well all children are progressing. We call this our Pupil Tracking Meeting. We talk with you about how well s/he has progressed at the Target setting meetings at the beginning of each term: we will review previous targets and agree new targets and sometimes different ways of supporting them. We report formally once a year on the academic progress of all children each summer in addition to the child’s Annual Review. We provide a curriculum that is broad, balanced, motivating and accessible to all children. We use the National Curriculum to make sure that the curriculum experience is in line with the curriculum experienced across the country. We arrange educational visits, journeys and a residential. Providing a visual timetable and clear explanations of tasks. We use student voice to ensure that the children have an input on what they would like to learn, utilising these ideas in our topic cycle. We work hard to make sure that our school building and all classrooms are safe, stimulating and accessible. We have an Accessibility Plan though which we are making improvements to the school environment over time – for example we are improving the clarity of signs. It should be noted that we are not fully accessible for wheel-chair users but we will move classes in order to welcome and include a child with long-term limited mobility. Making the building fully wheel chair accessible would not be considered a reasonable adjustment. Specialists therapists provide guidance, advice and equipment for a child with particular access or support needs. We have a range of equipment designed to support the development of children’s coordination and motor skills. For some children we provide specialist equipment including remote viewers, alternative recording devices and laptop computers. We know that the active involvement of parents/carers in supporting the education of their child is one of the most important factors in ensuring a child’s success and achievement. We know that parents/carers are the first educators of their child and that we need their knowledge to plan effectively. Parents/carers are an integral part of the Gloucester House offer and work with us in groups as well as working with us individually concerning their child. We will always involve parents and children in planning and reviewing progress. We work in group and/or individual sessions with parents/carers to think together about the difficulties of and solutions to living in a family group with a child who has emotional, social and mental health difficulties. We will also help and advise parents/carers on how to help their children make progress at home, for example in mathematics and reading. We welcome and value feedback on how well we are working with our parents. We try to communicate in plain English and we will do our utmost to provide translation and interpretation services for parents/carers who have EAL. We always work hard to make sure that our parents/carersare happy with what we provide for their child. However, we will address worries, concerns and complaints as soon as possible through face to face meetings where we will listen carefully to your concerns. If you feel that we have not been able to address your concerns satisfactorily, we have a complaints policy and procedure that you will find on our website or from our office. If you would prefer to speak to an independent adviser, you may wish to talk to Parent partnership. We know that the only way we really find out if a child is happy, feeling safe and taking part in the full life of our community is for Gloucester Houseto be certain that it hears the voices of children, especially those most vulnerable. Talk to your child about any worries or concerns they may have. Contact the case coordinator and/or the class teacher and together we can address any concerns your child has shared or use all of our relationships with your child to encourage them in to the class. We always encourage parents/carers to visit if they are interested in their child coming here. When a child comes in to Gloucester House, a member of staff will make a home visit and where relevant, collect information and records from previous provisions. We plan carefully to help children to feel safe and settle in. We have a staged timetable as children come in to support this. When a child comes to Gloucester House, we plan a range of support – depending on the particular needs of each child. This often involves the use of “Buddies” to help her/him settle in to the new class and provide help to find their way around the school. Prior to arrival in whole team meetings we will discuss in detail the needs and ways of working with new children, so that all staff have the child and our plan in mind. When a child moves class or school we organise “Hand-Over” meetings where teachers and support staff make sure that the new Teachers and support staff have a clear understanding of the needs of the child and have a plan in place to welcome the child and meet the needs. When a child moves to a new school we carry out transition work, including school visits including meeting key staff, to familiarise the child and parent/carer with the new building, staff and expectations. We would also invite the SENDCo of the new school to the last SEN Annual Review meeting for the child. The school takes the personal development and well-being of children very seriously. We know that children are unlikely to flourish unless they are developing positive relationships, feel safe and are adopting healthy life styles. We have achieved Healthy schools status and address issues of health and well-being through PE and informal learning times (Lunch and Play). We also know that often our children are particularly vulnerable when it comes to making and keeping friendships. We address this and many other issues regarding relating to others both through our PHSCE (Personal Health, Social and Citizenship Education) curriculum and through our ongoing work on interaction, relationships and reflection which is central to our therapeutic milieu. We encourage children to develop confidence and resilience through teaching, social play opportunities a nurturing environment and through more targeted support where this is needed. Everything we do is about positive behaviour, self-reflection and understanding and positive interaction this part of our philosophy of learning and our planned environment. We talk about all aspects of bullying in circle times, school council, community meetings and through the curriculum: we work hard to address the underlying issues behind bullying in Gloucester House. We have a whole school policy on anti-bullying: (hyperlink needed) and involve parents in the decision to offer this support. The Headteacher has responsibility for Health and Safety concerns across the school. We provide specialist support and up to date training for staff on safeguarding, keeping children safe and meeting children’s emotional needs. All of our staff have an up to date DBS check (Disclosure and Barring Service). 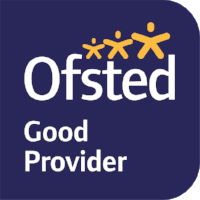 Currently we feel the best way to answer this is to refer to the most recent Ofsted report and our outcomes page of the web site as this includes results of questionnaires from Parent/carer and a range of other stakeholders. If you feel that you have an unresolved concern or a complaint, you should discuss it with your case co-ordinator, you could also raise the issue with either the Headteacher or Deputy Head teacher / SENDCo. We would always want to bring people together to talk through an issue and come to an agreed resolution. If you feel that a satisfactory solution has not been reached than there is a formal complaints procedure details of which that can be found here on the website.